3 bedroom, 2 bath home in the private community of Greenwood Forest in Sea Pines Plantation. If you are looking for a quiet retreat away from the everyday world, you have found your home! You'll feel like a local after checking into this 3 bedroom, 2 bath home in the private community of Greenwood Forest in Sea Pines Plantation. The living room has a comfortable seating group accompanied by cathedral ceilings, a fireplace surrounded by windows, a 46" flat screen TV with DVD, and also a queen sleeper sofa to provide additional sleeping space. 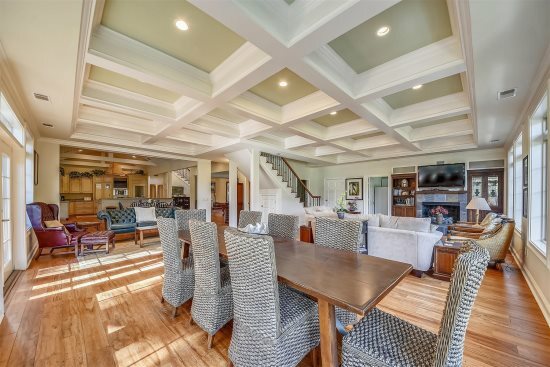 For more relaxed dining, board games, coffee breaks, or happy hour, the place to meet is the spacious and informal dining room, which is anchored by a large table with seating for six and sliding glass doors that access the deck. In addition, there are two barstools at a breakfast counter facing into the kitchen and a separate bistro table with seating for four. The updated kitchen features new appliances and granite countertops. To the rear of the kitchen is a laundry room with a full-size washer and dryer. The deck features a gas grill and a table for outside dining with lush, tropical landscape views. The fully fenced deck and private backyard are perfect if you plan to bring your furry friends. Please remember to keep dogs on a leash when off property. The master bedroom features a king size bed and 32" flat screen TV along with access to the deck and a private bath. The second bedroom has a queen bed along with a flat screen TV and shares the hall bath with the third bedroom located to the left of the living room which has 2 twin beds. 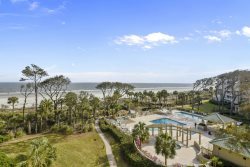 The Greenwood Forest community includes a community pool, tennis courts, playground, and picnic area along with public restrooms and is a short bike ride to the beach, Harbour Town or South Beach Marina. Everything was easy. Very professional. I've never used an agency before and was not entirely happy having to deal with an agent. Turned out that things went smoothly. I was in contact with one of your agents named "Kat" and I don't know what her name is. She was terrific. One of our party lost the "pass" to Sea Pines. We contacted you and within an hour the issue was resolved. Overall, I can say that my first experience using a rental agent was great and we will do it again. Could not have been more pleased with the property. We had an issue with the dryer, but that was a "nat bite" and did not impact our enjoyment of the week. 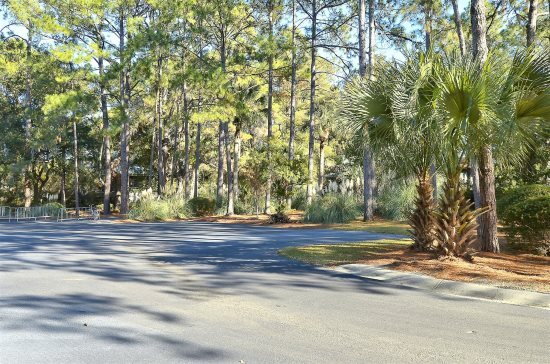 Prpperty is a part of the Sea Pines development and has lots of amenities surrounding it. The property is extremely functional for a family with lots of open space and family area.